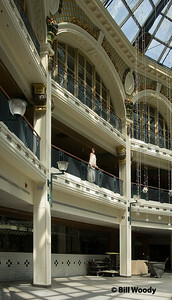 The Dayton Arcade sits at the center of Downtown Dayton - at Third and Main. 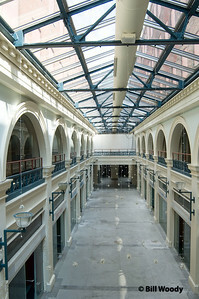 Its main entrance faces the historic Old Courthouse at Courthouse Square. 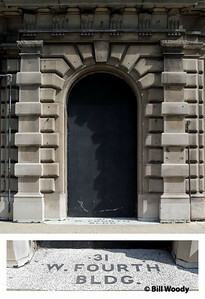 Community residents who have lived in Dayton for less than 15 years ---- have no idea about: what it is; what it was; or most importantly, what it might be. 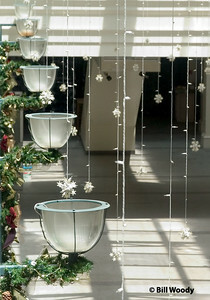 Perhaps the photos here will provide some insight. 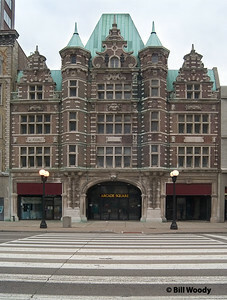 The Arcade was built in 1902 as a retail business center, with additional business office space and apartments. 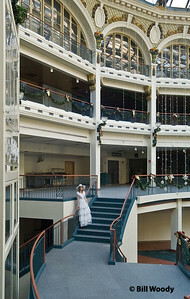 the Arcade complex is centered about a three-floor-high glass-ceiling rotunda and has a 100 foot long two-story glass-ceiling walkway (arcade) to the Third Street entrance. 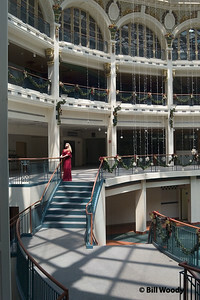 Photos here have been taken throughout the complex. 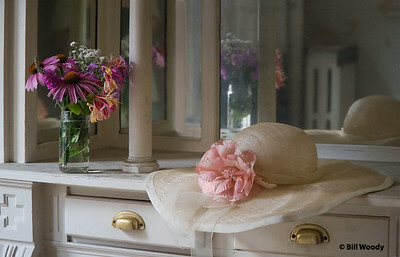 The photos represent photos of the place - as it is (2005 - 2010). 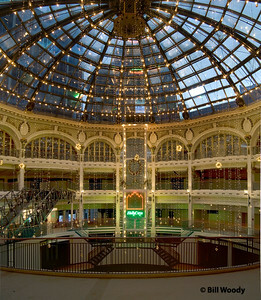 In 2009 the Arcade was purchased for restoration by Gunther Berg, a new Dayton Hero from Wisconsin. 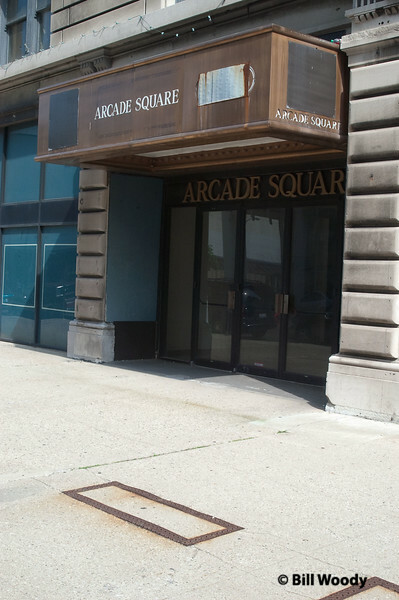 My Fine Art things from the Arcade now appear on another page under Abandoned Dayton. 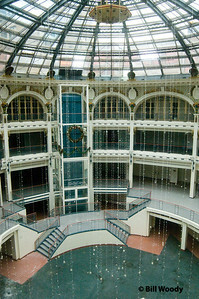 The Downtown Dayton Arcade, the Third Street Facade. 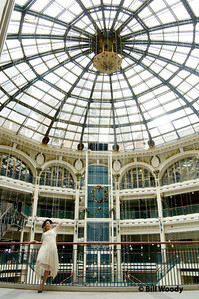 Arcade Square Taken on my first (photo) visit. 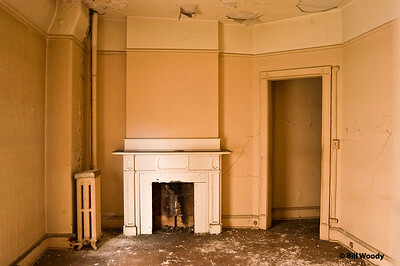 On the second visit, the bold brass letters were gone. 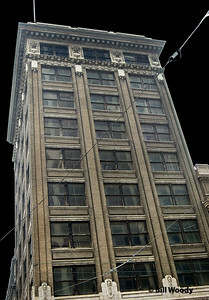 The Commercial Building Corner of 4th and Ludlow. 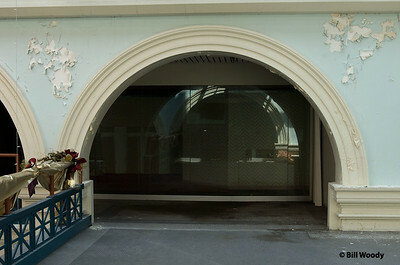 Part of the arcade complex. 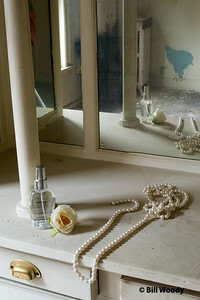 Tony Staub and Photographer John Murphy, Co-conspiritors in the case of the Arcade in my quest to make fine art in abandoned places. In my mind, Tony is a Dayton Hero. 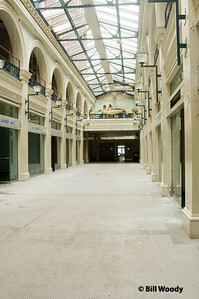 His Brownfield charity accepted the Arcade from Tom Danis in interest of finding someone to redevelop the landmark. 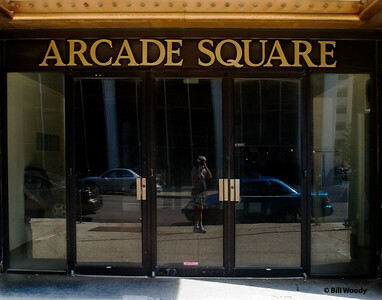 If he had not, the Arcade would surely have become rubble and one more parking garage. 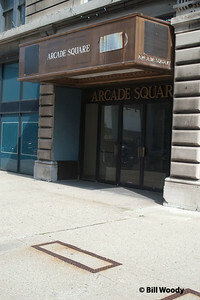 Tony hosted John and me, and others on many tours and visits to the Arcade. I am grateful. 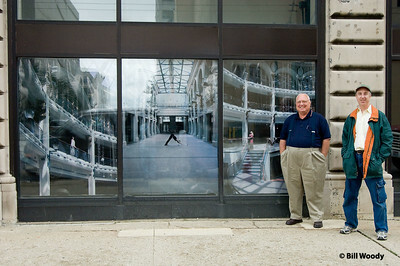 In the windows are three of my photos which were printed for display by Bob Shiffler. 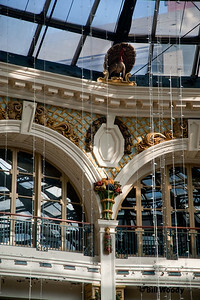 These images are included on this page. 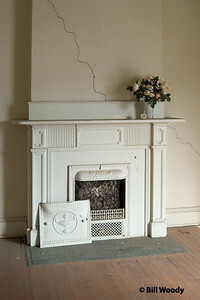 Many of the apartment had fireplaces. 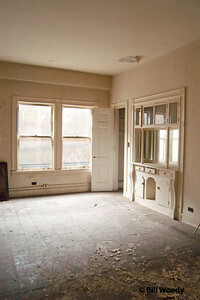 Many of the apartments had GREAT windows!